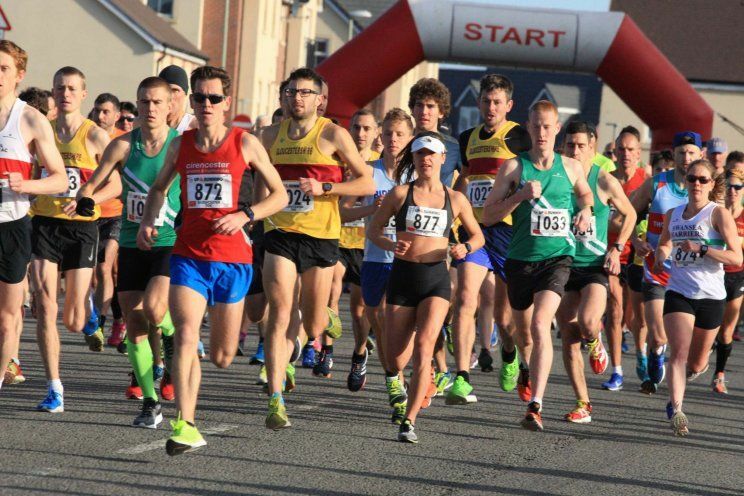 Well done to all the runners that took part in the Gloucester Half Marathon / Marathon & 50K on Sunday 20th January 2019. On what is a largely flat and traffic-free course with entirely closed roads except for two sections on the route. The course has been changed so its now a faster loop starting and finishing on School Lane Quedgeley. Race HQ is at Severnvale Sports Centre the route takes runners through the wonderfully scenic parish of Haresfield and Colethrop village. Runners of all abilities are welcome including club athletes, elites, recreational runners and charity runners who are encouraged to raise monies for good causes. Road closures have necessitated an increase on last year’s entry fee but this will include a free Tech T for all competitors and the event still offers excellent value for all. Join competitors from all over the UK for this classic event at the beginning of the year. Friday 18th January 2019 12 Noon unless race limit is reached 2000 participants which is every reached the first. Entries will not be allowed on the day. This will take place on the footpath at 10.10am on the footpath opposite the Start of the 50K Run on Severnvale Drive . We give our very grateful thanks to the Gloucestershire AAA MPCT Armed Forces Neil Meynell from Tewkesbury for providing marshals and helpers for the event, Kingsway Runners, Hucclecote Harriers, the local running clubs, the Royal British Legion Hardwicke Branch, Lee Winders Area Operations Manager MPCT 16-19 Years, Marie Currie, and Local Medical Services.. All these organisations are undertaking roles for this event or providing marshals to ensure the race goes off smoothly on race day. We wish you an enjoyable and successful run!